Browse: Home /	LIVABLE STREETS, Public Places, Sustainable Flatbush News / Fall Foliage Walking Tour October 24th! Do you brush past that same old tree every day as you come and go from home, but forget that it’s even there? Would you like to know its name, its history, and admire its resplendent beauty at the peak of this colorful Fall season? 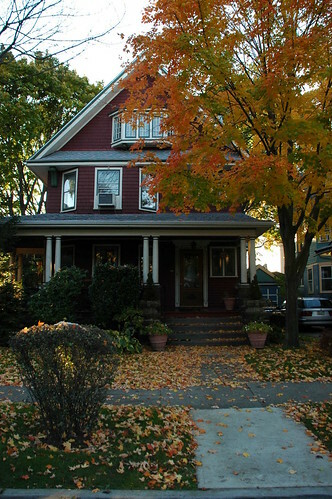 Join Sustainable Flatbush and community residents for the first Fall Foliage Street Tree Walking Tour, led by tour guide Tracey Hohman, professional gardener, and Chris Kreussling, aka Flatbush Gardener, both from the neighborhood. On Saturday, October 24th, we will be strolling and discovering the hidden histories of local trees, identifying names and characteristics, discussing their role in the environment, and learning how to care for the proud tree on your street. This free event is a perfect opportunity to visit Victorian Flatbush in the heart of Brooklyn and experience the neighborhood’s breathtaking street trees — including some that are more than 100 years old! By the tour’s end you will have made friends not only with neighbors and guides, but with the trees in our community as well. Tours depart at 11:00 AM and 12:00 NOON. Tours take about 2 hours to complete and are 1 mile in length. This should be really great. 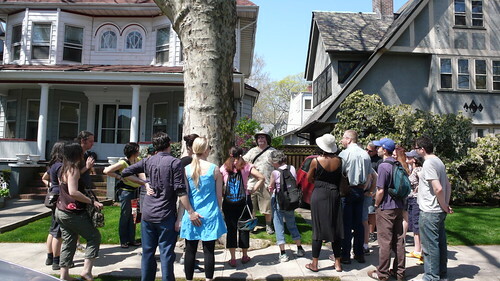 I attended the Spring tree walking tour this year that Chris gave and had an amazing time while learning a lot. Looking forward to the fall foliage tour!